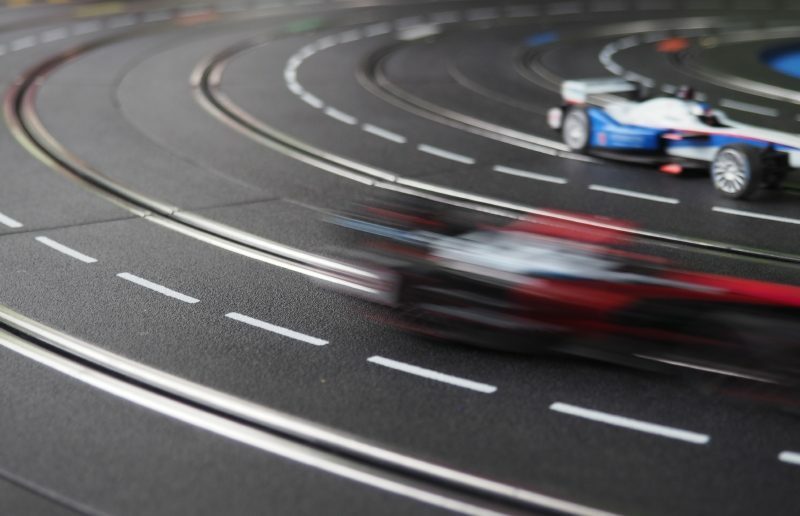 To measure average speed of a car halfway through a given distance it is critical to design activities that account for this measurement objective. We want to take actions and measure their impact – scientifically. We want to take actions and measure their impact – scientifically. To measure average speed (of a car) halfway through a given distance, we should mark the midpoint and should have a clock. To measure conversion through a print catalogue and to compare that against the same from a digital catalogue, the design of the catalogues should allow you to identify the source of conversion and should be able to differentiate between print and digital. While these can be designed and executed in numerous ways, what is critical is to design activities that account for those measurement objectives. The role of analytics in designing these activities is critical. The design should include what is intended to be measured. This is where the third segment of the construct (measure) drives the first (design). We have seen vanity URLs and unique 800 numbers used to handle this challenge. But those involve other issues – for example, cost of registering different 800 numbers, possible confusion to customers with different 800 numbers/URLs, losing catchiness and simplicity, etc. With modern digital innovations, collecting parameters at digital channels for direct marketing is no longer a challenge. Many technological supports (software/platforms) do collect measurement parameters as out-of-the-box capabilities. There are other considerations here, but let’s hold those thoughts until we reach the third prong. Often we fail to design accurately, mostly due to ever-changing priorities and market dynamics, which leads to some retrofitting-type activities. An effective first step of this construct would make this step (collect) simple and purely operational. This would then be nothing but populating a table with data for which structure was created in the first step. Alas, life is never so straightforward. Often we fail to design accurately, mostly due to ever-changing priorities and market dynamics, which leads to some retrofitting-type marketing activities. Since those activities could be tactical and opportunistic, we won’t further discuss them here, but we should consider that granularity of collected information and data is critical in bringing adoptability against the ex post changed in the measurement requirements. Here is the piece of the puzzle that has gone through tremendous research and has significantly evolved in recent years. Today, AI and machine learning based algorithms may also be used for attribution analysis. Storage capacity and processing speed are no longer real constraints. Traditional methods like first touch or last touch attribution are not lucrative enough to modern marketers; they are now looking for an algorithmic approach. And why shouldn’t they – customers’ expectations are changing faster than ever, and businesses are competing for their attention. Any additional insight to recalibrate the customer engagement process would add significant value. My colleague Suneel Grover has blogged about some recent advancements in attribution measurement. Quest of sophistication in this part creates newer challenges in designing the (sophisticatedly) measurable activities. Data scientists have developed attribution algorithms that go beyond the traditional rule-based and typical out-of-the-box methods. Someone willing to use more sophisticated algorithms to measure attribution needs to incorporate elements to collect in the design of the activities. Flexibility to modify activities and metrics. Flexibility to post facto extend measurement and analysis. Total cycle time should be quick enough to be able to react based on analysis outcome. 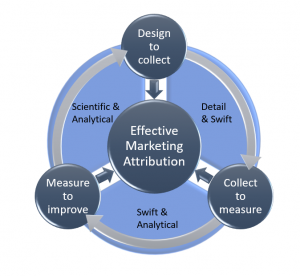 Test and learn is another aspect that requires significant swiftness in the design and execution of marketing measurement but may not truly be categorized as attribution analysis. It was traditionally assumed that only basic measurement methodologies could be adopted in these cases, because added sophistication would delay the results. While this was true until few years ago, advancement in technology has allowed marketers to be detailed, analytically sophisticated and quick, all at the same time. This has pushed the ball partially into marketers’ court, rather than entirely in the technology department’s court. Those technologies must be in place to enable automated measurement (and attribution) using analytical methods. Furthermore, based on the results, actions should also be automated, which may be picking the most effective variant of content or message. This topic can be considered an extension of this blog. While the above is not necessarily limited to single-channel marketing activity, customer journeys across multiple channels and activities bring a lot of complexity into measuring effective attribution, and this blog doesn’t do justice with that. I’ll explore that subject in a future blog. Ashutosh Kumar is a seasoned professional with more than 15 years of industry experience in the space of marketing analytics and consulting. Currently working with SAS Institute North EMEA region to help organisations in planning their marketing communication processes and strategy with SAS Customer Intelligence technologies. His experience in marketing consulting and data science covers customer journey design and analysis, econometric and time-series modelling, and constrained optimization. He has rich academics with double masters M.Phil, Economics and MBA, Finance and also has a strong quantitative research background with published research papers in reputed journals.